There are definitely cases where a V-Bracket is your best mounting option. 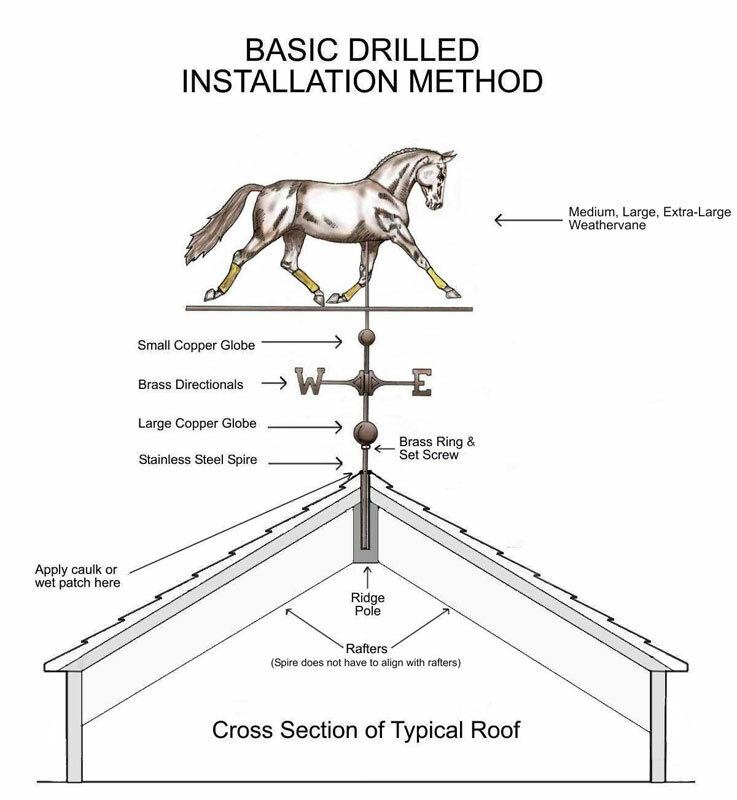 They are the optimal solution if you have a truss framed roof or cupola where there is no access to add the additional internal bracing needed for the Basic Drilled Installation Method or Cupola Installation Method. We offer several variations of custom stainless steel brackets. 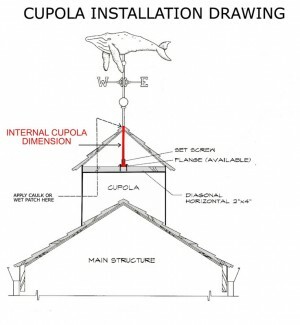 While these brackets are strong and well made, if at all possible, we recommend using the Basic Drilled Installation Method or Cupola Installation Method (see illustrations below). 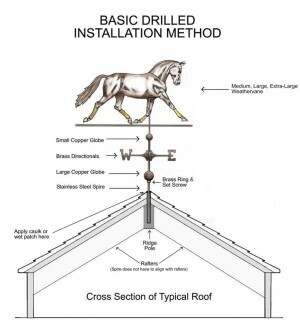 Both of these embedded installation methods are typically stronger, easier to install and less expensive than using a bracket. If using a bracket, you are essentially putting an intermediary between the stainless steel rod and the surface to which it is being attached. This will never be quite as strong as when you can get the weathervane installation rod down into the framing. Note: In some cases, it may be more practical to have a custom bracket fabricated locally in case there are any fitting related issues.This would definitely be faster and less expensive than shipping the custom bracket back to us for modification. Below is an example of a customer fabricated V-Bracket. 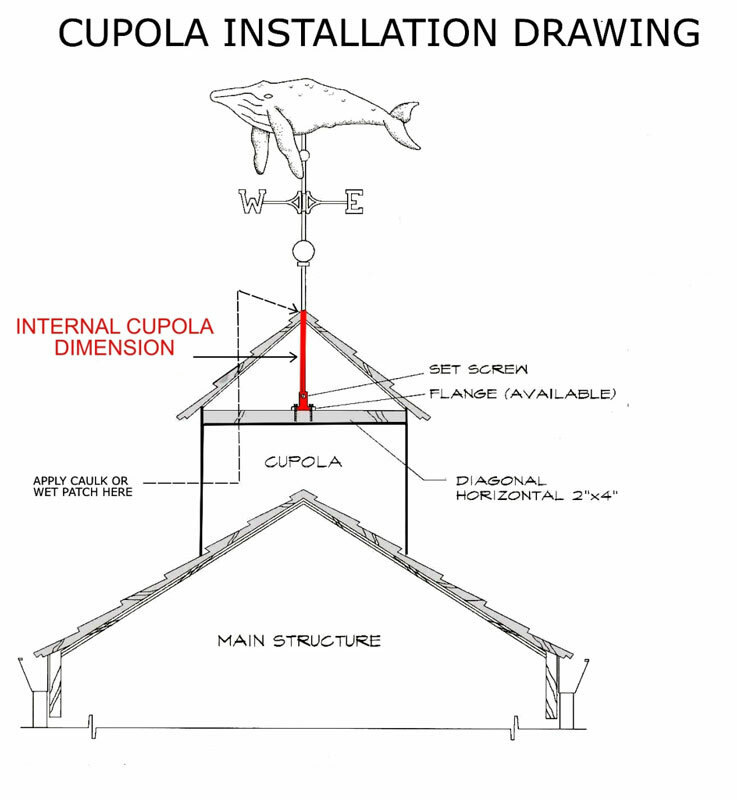 The bracket shown in the photo above was fabricated by the customer to fit his standing seam roof. 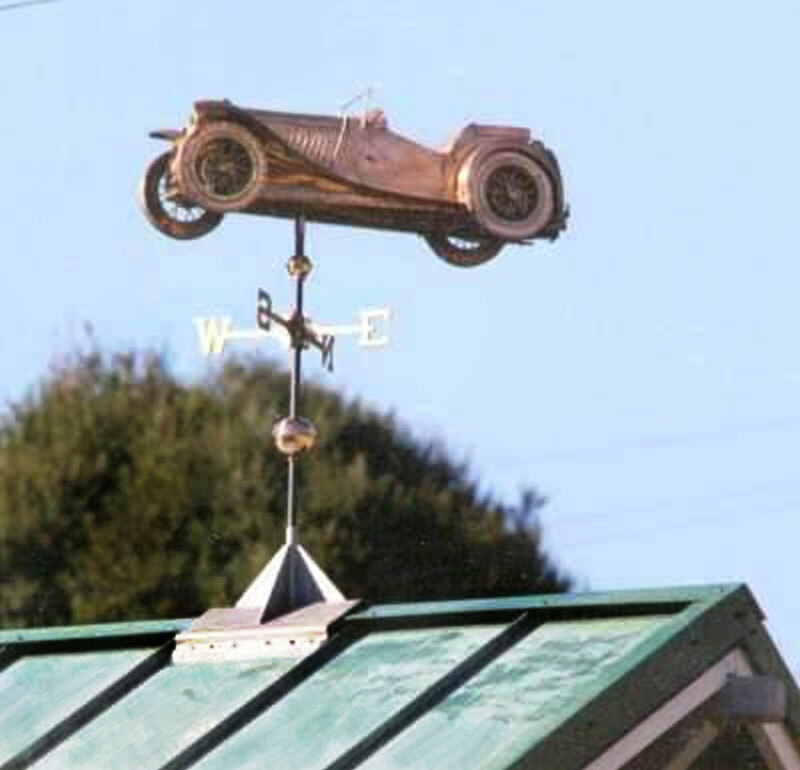 The MG Weathervane sculpture piece weighed approximately 45 pounds. You can see that the bracing gussets are quite large. The mounting tube was 12” tall with one set screw to pinch the stainless steel rod (shown in this photo) in place. 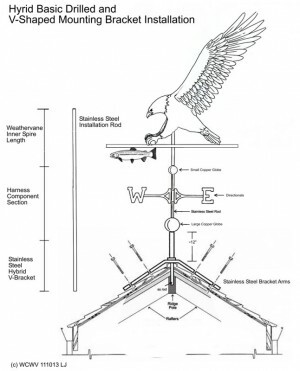 A custom bracket like this would need to be fabricated locally and custom fit to the roof.